brekkie with sleepyhead brian. i got the same thing every day: huevos con chorizos with rice, beans, fresh tortillas and fried plantains. yum. 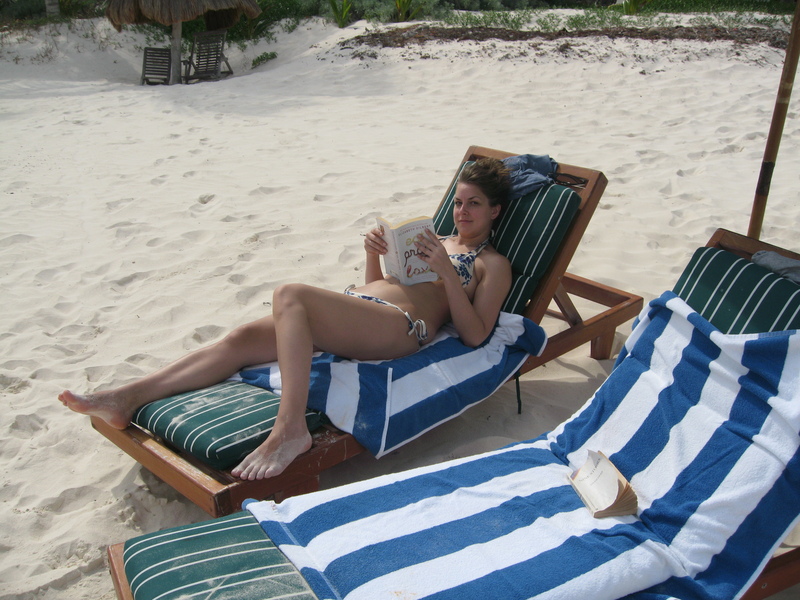 we ventured out each morning for some excursion or other, mostly so we could feel good about doing absolutely nada under the sun each afternoon. 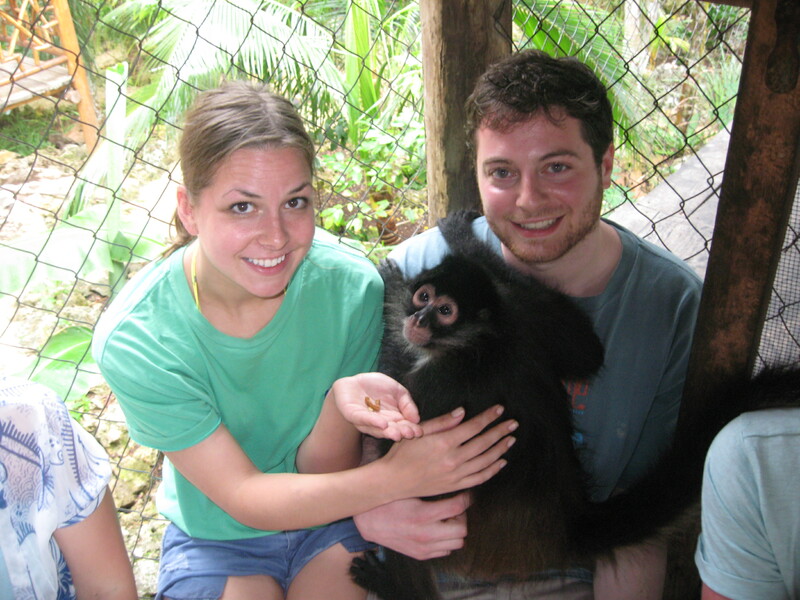 we met our first baby, ichelle, at the jungle place. 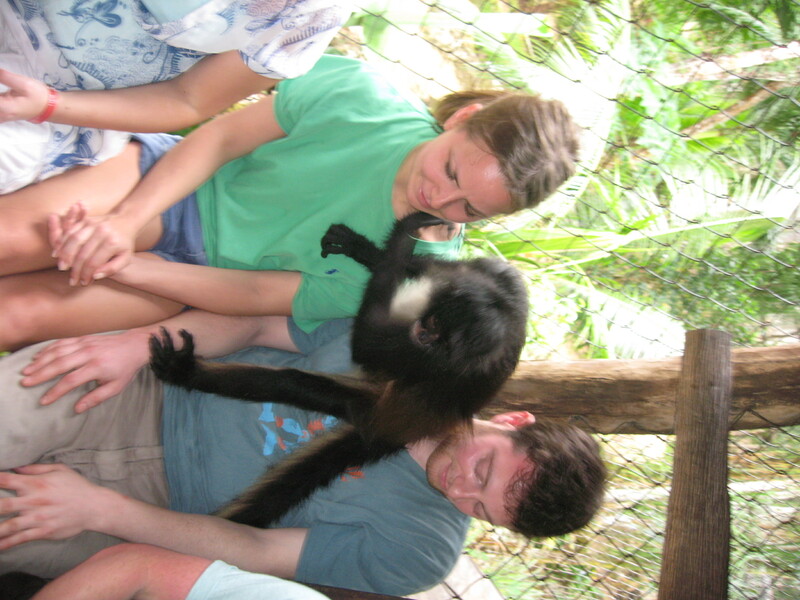 she was completely taken with brian, returning to him for a big ol’ hug two or three times, but she liked me alright, too. yes, as i am sure you were wondering by my face, little ichie did have a faint odor and had been using the very hand you see resting gently on my shoulder to go to town scratching her crotch (in my face) seconds earlier. 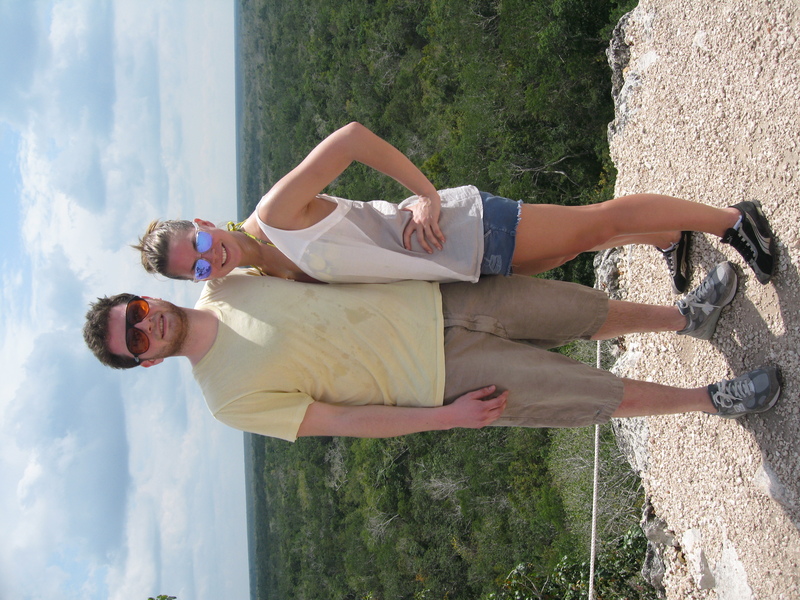 on mornings we weren’t checking out monkeys, we were checking out ruins. 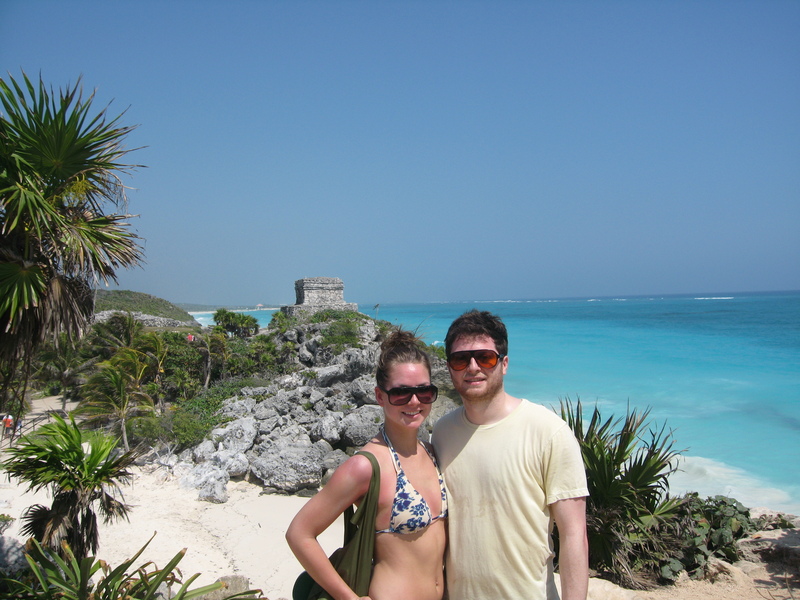 first up was the famed tulum ruins. the famed super hot as hell ruins. the famed super hot as hell ruins amazingly located right by the green caribbean sea ruins. 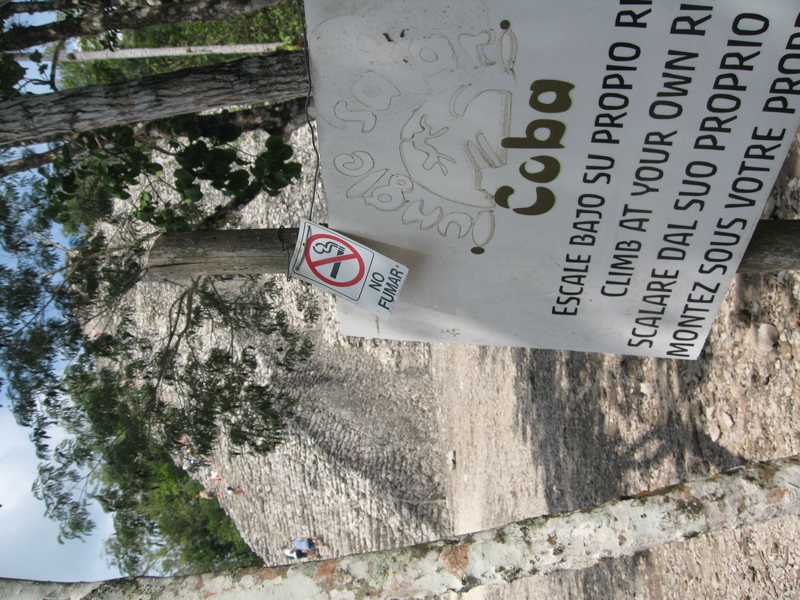 and bombed our way inland to the jungle at 100 kmh to check out the ruins at coba. 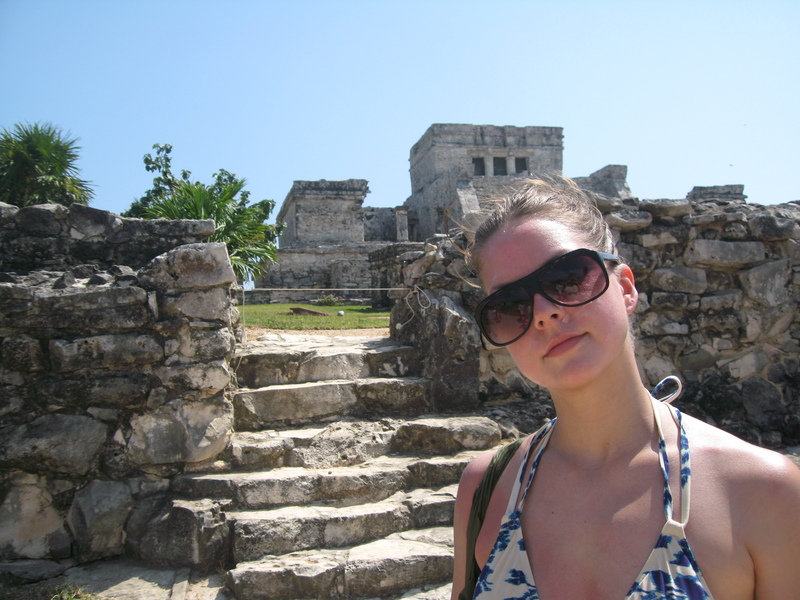 THESE ruins were just slightly more intense than the tulum ruins. see that little pyramid-worship tower thingy? the pic does not do it justice but it was pre-tty pre-tty pretty tall, and scary, and crumbly looking, and so of course the thing to do is CLIMB it. so climb it we did. this picture also doesn’t do justice, not for the extreme and knee-knocking HEIGHT and seeming instability of the place, not for the sheer and incredible amount of sweat literally dripping, standing-in-the-shower style, off the two of us. 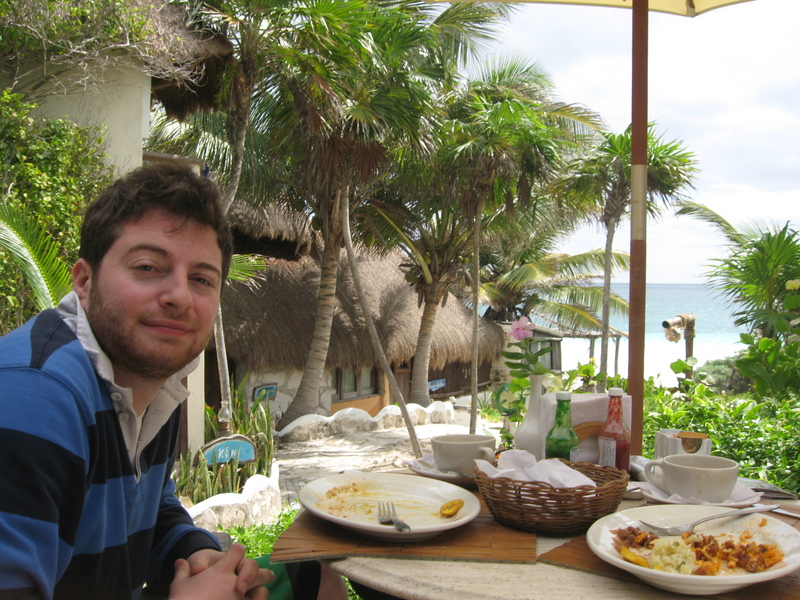 so, after the requisite post-venture on-site icy cold beer, we stopped by gran cenote on our way home for a dip. 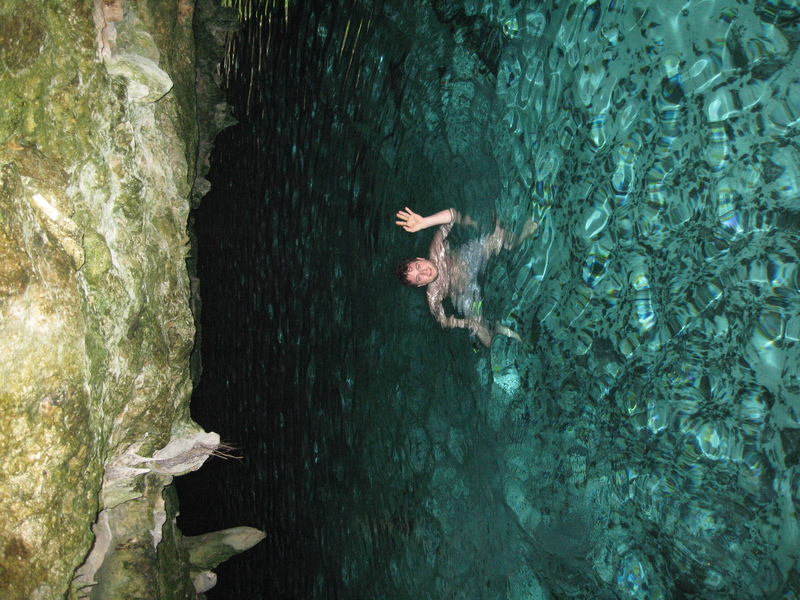 cenotes are freshwater underground cave pools. they are cool, as in refreshing and as in interesting, and perfect for snorkeling (which, as we all know, is brian’s beloved summer hobby of choice. more on that later). 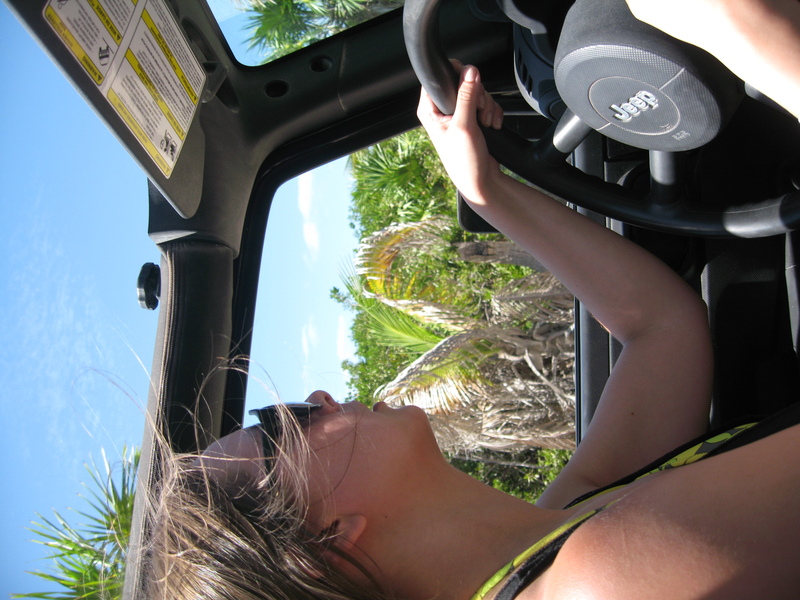 then, excursions done, places explored, our travelers’ sensibilities satisfied: a whole lot of nothing. 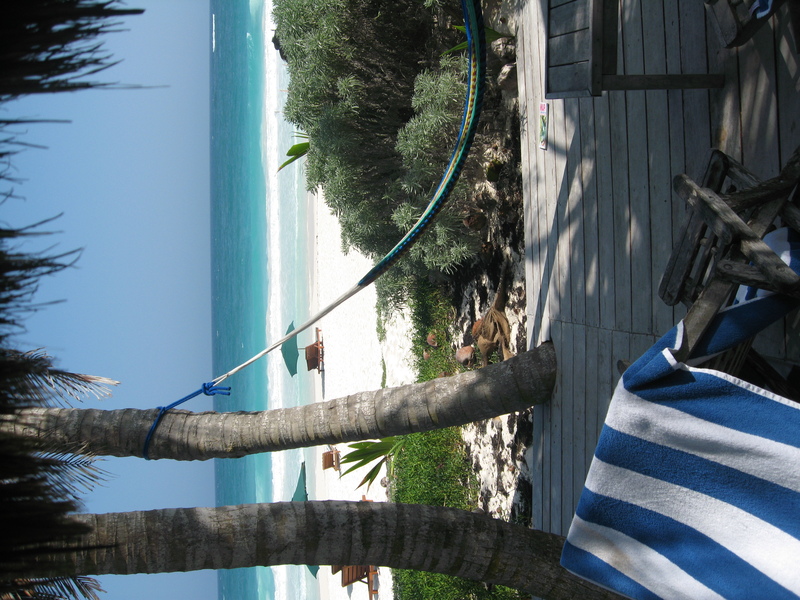 save for happy sighs, cold beers, crashing waves, shots of tequila and delicious seafood dinners. WHY WHY? SEE ME TURNING GREEN WITH ENVY!! GREEEEEEEEEN. Sigh. So fun. So sun. brian looks like a frog and i cannot stop laughing about it.